Asian Massage in Bayside Queens New York. Visit us for the Best massage in New York. 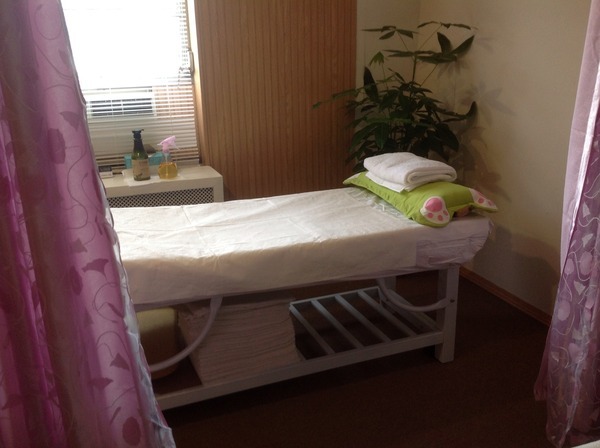 the best massage in Bayside Queens New York. Best massage in New York then look no further. Our prices are also the cheapest in Queens. The goal at Bell Spa New York is to literally have you fall in love with your skin - how fresh it looks, how smooth it feels, how vibrant and relaxed you feel when you walk out the door. We want you to feel special and cared for, when you're in our spa. If you looking for the best massage in New York at a very affordable price we got it. We offer a complete massage ...body, hands, foot, facial, and stone massage all for $35 an hour, or you can choose individual specific massage concentrating on one of the above areas that you preferred. You can also have 1 1/2 hr Body massage for just $15 more ($50 for 90 mins). •Assist with shorter, easier labor for expectant mothers and shorten maternity hospital stays. •Enhance immunity by stimulating lymph flow-the body's natural defense system. •Improve the condition of the body's largest organ-the skin. •Reduce post surgery adhesions and swelling. •Release endorphins-amino acids that work as the body's natural painkiller. Why Massage someone might ask? In a time where writing a prescription is often as a cure for anything, massage provides a natural and effective alternative for treating some common maladies. anything, massage provides a natural and effective alternative for treating some common maladies. It improves circulation. The increased blood flow improves the skin. Muscles that have been overworked are softened. Cramping and spasming can be reduced by massage, and joint flexibility is increased. It promotes healing in the body, which reduces recovery time after an injury. Overall, simple touch is one of the most overlooked healers. Touch provides not only physical comfort, but emotional comfort as well. which makes massage such a powerful -- and easy to use -- tool for the relief of tension and stress. Massage is a "hands on" treatment in which a therapist manipulates muscles and other soft tissues of the body to improve health and well being. Varieties of range from gentle stroking and kneading of muscles and other soft tissues to deeper manual techniques. It has been practiced as a healing therapy for centuries in nearly every culture around the world. It helps relieve muscle tension, reduce stress, and evoke feelings of calmness. Although it affects the body as a whole, it particularly influences the activity of the musculoskeletal, circulatory, lymphatic, and nervous systems.